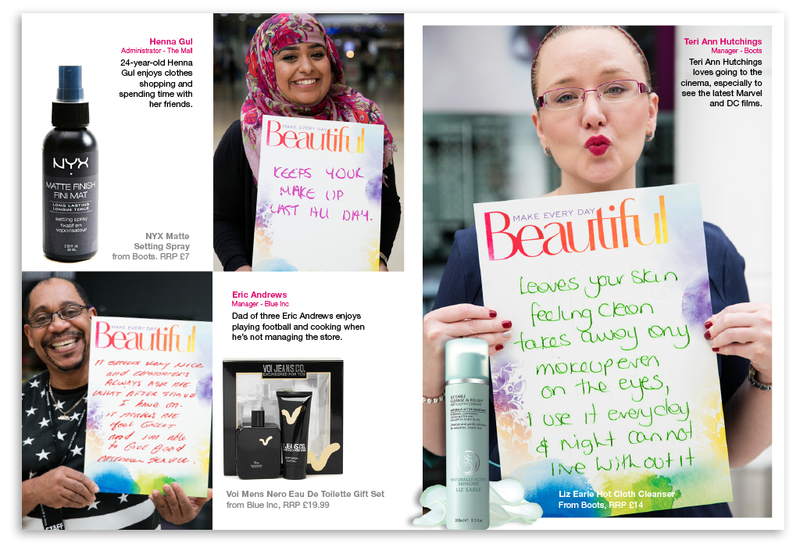 The Mall chain of shopping centres approached Simon Inc to create a campaign to promote their annual “Beauty Week”. Their goal was to drive sales of beauty-related products and services provided by the retailers based within the centre. The challenge we faced was how we could create a campaign which would engage the full range of both customers and retailers. 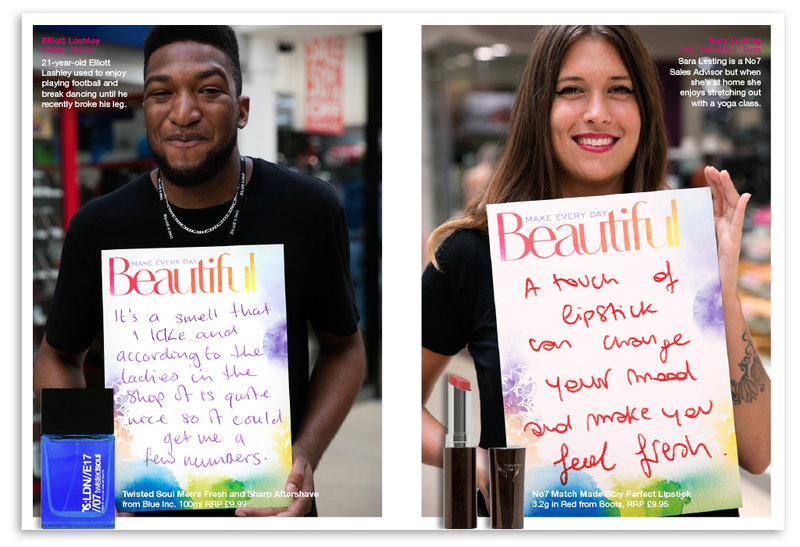 The trouble with creating campaigns marketing beauty products and services is that, almost by default, the resulting campaign focuses on visualising the traditional concept of beauty, and in doing so excludes or alienates whole sections of the potential market. The Mall customers include men and women from a wide range of cultures, nationalities and backgrounds. We needed to find a way to connect with as many of that range as possible, as well as with people of all body shapes, sizes and appearances, and to talk about beauty without alienating people who don’t fit into traditional western concepts of physical perfection. Our solution was to change the premise of Beauty Week, switching the focus from external physical beauty to the concept of making every day beautiful – making it more about the underlying feeling generated by using the products rather than than the external appearance…however you are feeling, or whatever the weather, whatever the news and prevailing mood, you can always make life more beautiful by giving yourself a little treat – from one of the great retailers in The Mall. 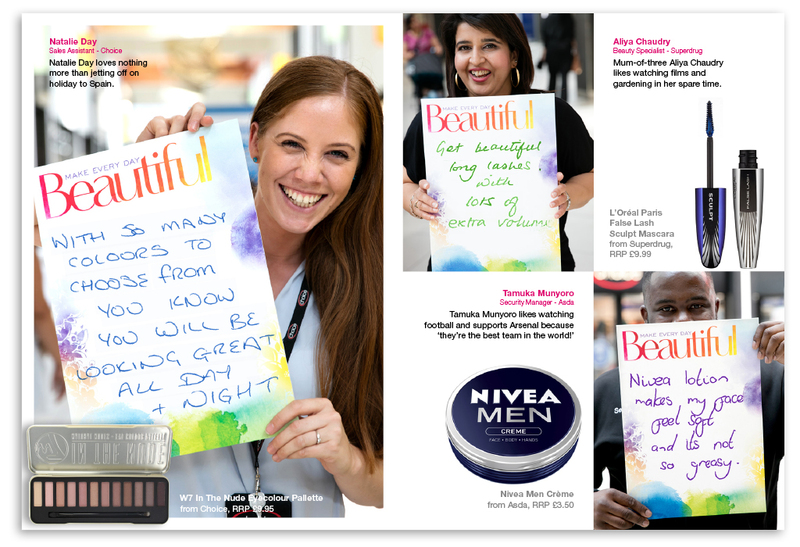 So we approached retailer staff in each of the Mall’s shopping centres and invited them to share their insiders’ tips on how they Make Every Day Beautiful using products and services available in their shopping centre. 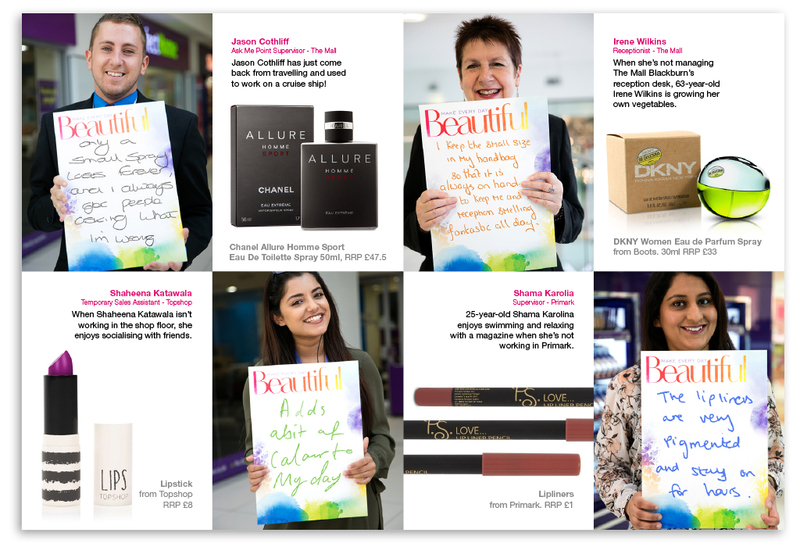 We then photographed each participant holding their own handwritten tip and compiled the photos in a magazine, along with details of where to get the relevant products. 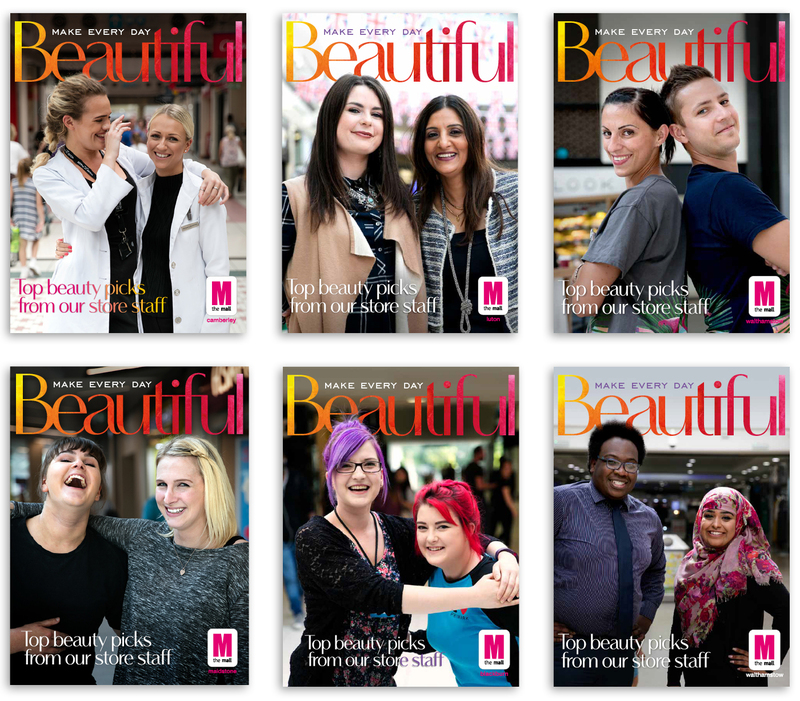 The resulting pictures (by photographer Sonia Yasmin Ali) combined to form a unique portrait of the shopping centre staff, perfectly capturing their vibrancy, diversity and individuality. 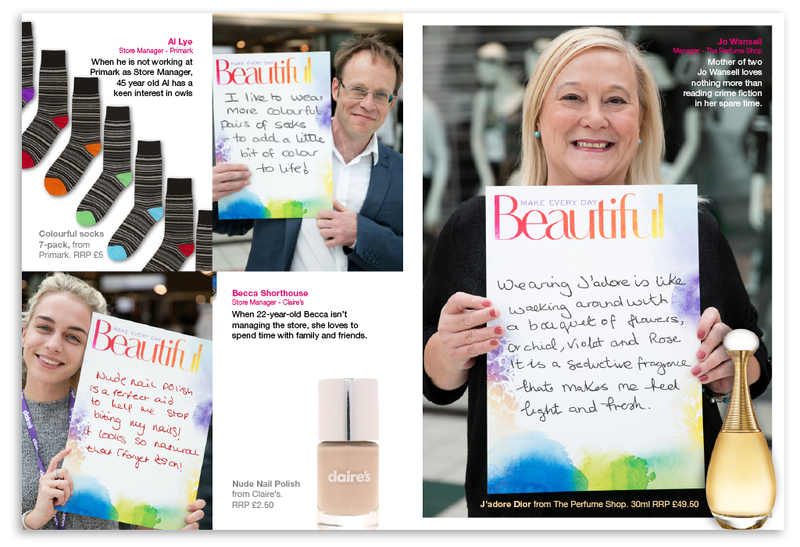 The magazines were distributed free in each shopping centre, promoted by POS within the centres along with a corresponding outdoor, press and social media campaign.